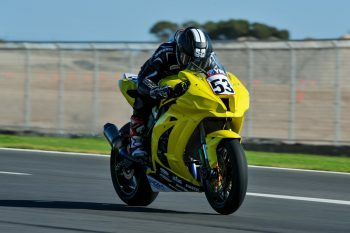 Motorcycling Australia (MA) has revealed the Mason Coote, Yanni Shaw and Stephanie Redman have been granted wildcards for round two of the Asia Road Racing Championship (ARRC) at The Bend Motorsport Park in South Australia. The trio will contest the ASB1000 category at the event, which will run in conjunction with round three of the 2019 Motul Pirelli Australian Superbike Championship (ASBK). “I’m excited and nervous about the whole situation,” Coote admitted. “I didn’t think I’d be racing much or at all this year, and the opportunity came up and I jumped at it. The wildcards will join compatriots Broc Parkes (Yamaha Racing Team ASEAN) and ASBK contender Bryan Staring, who’s taking on double-duties as he fills in for Thitipong Warokorn at Kawasaki Thailand Racing Team.